• Work closely with the Capacity Building Manager in planning, directing and implementing educational community programs in line with RFC’s strategy, timeline and budget. • Network and build relations with NGOs, international organizations and donors for the sustainability of the educational projects. • Raise funds for the educational projects through proposals writing, bids, and community’s project opportunities. • Oversee and track implementation and development of the community projects. • Monitor and evaluate all projects. • Establish community projects network. • Develop and implement mapping activities as required. • Design operational requirements of the program. • Monitor and maintain the film and multimedia production programs and activities in the community. • Report to the Capacity Building Manager. • At least three years-experience in community projects and field-based programmes. • BA in a related field. • Very good communication skills, oral and written, in both English and Arabic. • Experience in delivering training, and good presentation skills. • Flexible and willing to work evenings, as well as to travel in the country when needed. Good knowledge of locations and local communities. • Capacity to work autonomously and think creatively. • Detail-oriented and has initiative. • Team player and comfortable with interlocutors from various backgrounds. 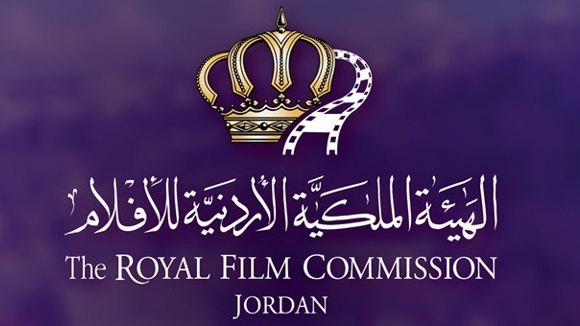 Please send your application to the following email: recruitment@film.jo no later than 31 October 2017, and indicate clearly in the subject of your email the title of the position you are applying for. workshops with over 70 international industry panelists, experience the latest trends in VR. Buy, sell or discover projects and access one of the fastest growing film and TV markets in the world. The DFM is the business and trade hub of the festival and the world’s leading industry platform for Arab cinema, making it a must-attend annual event for industry professionals. Accreditation for the DFM is solely reserved for film industry professionals. The International Festival of Animated Film in Stuttgart (ITFS) celebrates its 25th anniversary edition. The ITFS presents a full, up-to-date spectrum of animated filmmaking and its intersections with visual effects, architecture, art, design, music and games. The ITFS offers a platform to directors, production companies and distributors where they can showcase their films and transmedia projects to an interested, broad audience and numerous industry representatives. A total of more than 70,000 EUR in prize money is awarded in the various competition sections. The deadline for submissions is on 1st of December, 2017. Animated short films can also be nominated for the Amazon Audience Award. The exact dates of application and the deadlines as well as the application forms and regulations for the above listed competitions will be published on the festival's website in sufficient time. The 9th edition of ALFILM takes place from 11th until 18th of April, 2018. The official selection presents a panorama of contemporary Arab film production including fiction and documentary films, as well as short films, experimental films and video art. The festival accepts feature films, documentaries and short films which were directed by an Arab filmmaker, have been produced or co-produced by an Arab country or handle an issue that relates closely to the Arab world. Submitted films may not be older than 3 years. The submission deadline is on the 20th of December, 2017. This year, the festival has changed the submission process. Both short and feature length films should be submitted digitally. For the 7th year, FEST - New Directors | New Films Festival will host FEST - Pitching Forum. FEST - Pitching Forum is an opportunity for upcoming filmmakers to pitch their projects to top industry producers, financiers, fund managers and investors. In past years, the festival had over 200 projects being pitched from all over the world. In a five-minute pitch, each participant will have the chance to unravel their project, in whatever way seems more appropriate. Each pitch will be followed by a 10-minute feedback window. This will be constructive feedback that will help you to significantly improve your project, and will stay with you for the coming years. - Documentary (short or long film). A total of 28 projects will be selected and the selected scriptwriters, writer-directors and producers will also be able to participate in a 3-day training-program in preparation for the Pitching Sessions. Submissions are open from the 2nd of October 2017 until the 1st of April 2018. Projects submitted until the 2nd of December 2017 will enjoy the Early Bird Fee of 50 Euros. From then on submissions will be subjected to a fee of 60 Euros per project. However, if the project is submitted by a FEST Training Ground participant the fee is only 25 Euros. The 16th Hong Kong - Asia Film Financing Forum (HAF16) is now recruiting fiction and documentary feature projects. Around 30 projects will be selected to participate in HAF next year (19-21 March 2018, Hong Kong) to enjoy the opportunity to discuss with various industry parties from around the world collaboration possibilities and to compete for various awards. Representatives of the selected projects will be invited to Hong Kong to attend the three-day film financing forum. Selected HAF projects will be eligible to compete for a number of awards, subject to the criteria and regulations of each award. - The applicant must be the copyright owner of the submitted material, or is authorized to act on behalf of the copyright owner of the submitted material. - Priority will be given to projects that have not participated in any other project markets. The deadline for submissions is on 23rd of October 2017. Please send email at haf@hkiff.org.hk for further enquiry. A two-week Film Directing course with Hungarian filmmaker Béla Tarr will take place from the 26th of February until the 11th of March 2018 in Espinho, Portugal . It is an opportunity to develop your skills in Film Directing with Béla Tarr, who will guide participants throughout the whole process of filmmaking. This practical two-week workshop will provide training to 12 participants to write and develop scripts in groups of four participants who will work together to produce a short-film in these two weeks. The workshop will follow the logic of transmitting knowledge by practical work. Béla Tarr will share his knowledge and experience with the participants while, at the same time, will respond to each participant’s personal history and artistic practice, in order to guide them throughout the whole process of filmmaking. The workshop will not attend a right\wrong logic, but rather will be an insight on Bela Tarr's point of view of filmmaking and his personal process. The call for applications will close on 15th of December 2017.